This year’s Feed the Need set a record for the most funds raised! 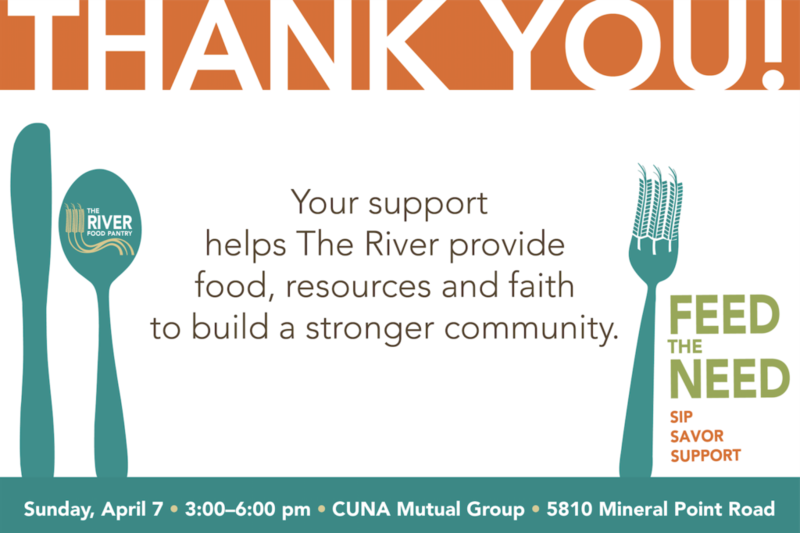 Over 400 of The River’s supporters came together at CUNA Mutual Group on Sunday, April 7 to enjoy flavors from local restaurants, breweries and wineries, as well as live music, raffles, a wine pull and a specialty item pull. The event raised $45,000, which will provide over two months’ worth of food at The River Food Pantry! 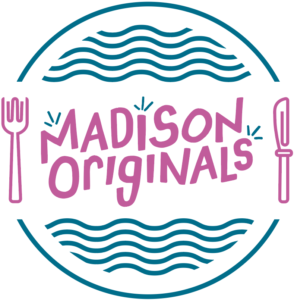 Madison Originals restaurants, breweries and wineries for serving such a wide selection of delicious food and drink samples. Ale Asylum and Rockhound Brewing Co. for providing beer, and Madison College Culinary Arts for providing homemade ginger lemon soda. CUNA Mutual Group for hosting our guests in your space. Kavanaugh Restaurant Supply for providing cups, plates, napkins, utensils, and more. Host of Wisconsin Foodie, Kyle Cherek, for once again being our emcee. Gin, Chocolate and Bottle Rockets for performing live for our guests. Scot Kemp Creative and Inkworks for designing and printing our beautiful marketing materials. Our photographer and The River’s Warehouse Supervisor, Jon Clark, for capturing so many memories. All the volunteers who helped before, during, and after the event! 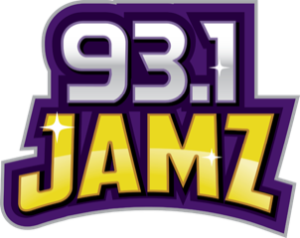 If you attended the event, please share your feedback by taking this short SURVEY. View Feed the Need photos on our Facebook page. Photos courtesy of Jon Clark.